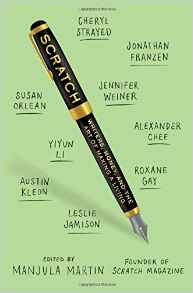 Scratch: Writers, Money, and the Art of Making a Living by Manjula Martin was published these days by Simon & Schuster. So: what a messy world the one of writing. I am a freelance reporter and so I feel the problem so badly. While I was reading the preface of the author, Manjula Martin I was also thinking at my condition. I don't remember anymore when it was the last time I have been paid for my work. Yes it is sadly true what written by the author: if we write for love and passion why other people should pay us? It's scaring more than sadly true, thinking better. And I ask to myself: but if I pay my mechanistic, if I pay the baker for the bread, if I pay the hydraulic, electrician, all people who read newsmagazines after all, in too many cases they will read our words for free? Why no one should pay all of us for our daily, weekly, monthly articles? But I know: of course these thoughts won't bring us too far. In part because of the net, a real devastation for communication and common media. If you think that some newsmagazine are thinking of using Facebook as their main resources cutting out collaborators, it gives to you the idea of the real danger of the power of the net and the problems connected with it. Collaborators are the salt of a newsmagazines. We know how to work; a news posted by someone else can be wrong and anyway should always be verified by a reporter in the place before to be printed. Of course maybe at a certain point the profession of reporter opened at too many people when places for giving dignity to everyone there weren't at all. Ahem: I meant, in miserable conditions. Luck is another important factor in this profession. If you meet people of quality along your way, who believe in you, you will obtain a great guidance and of course you can develop your ambitions much better arriving at destination. Realities where you are treated with dignity, where your work is recognized. It says a lot to a person. It says all because she/he will be feel he/she is treated as every human being should be treated. I found beautiful stories in this book and I cried a lot as well. I loved the one of the first author's essay who said she was a book addicted because in her family she was the only one who read. In our family my dad, my dad's aunts read a lot. My granny Marietta in fact was the only lady in our rural community to have completed all elementary studies because she lived previously in another rural area when still a girl where there was a great dignity: there were all elementary classes. In our rural community all elementary classes arrived later. She read, she wrote and during the Second World War when people received letters of their dear beloved dear ones from the various wars' places the person who replied to all these letters was granny Marietta. Our house for what they told me was very crowded during the last Second World War Conflict..
Dad loved to read my articles. He was so proud of me. Aunt Dina read 'til the day she died. They all transmitted me this great passion and desire for knowledge. Reading is a passion that, thanks also to my British and American friends I enlarged with a lot of books and author in most recent decades. Anyway she helped me to create a good library not just of italian books and to start to read in English in a daily base. It's important. Other British ladies founded a dog association in a close city, Umbertide where they sell Books for Dogs (the name of the charity) and so I could discover every week new authors still unknown to me or known but still unread. In general I return home with 15-20 books per time. At the end I had some little problem of...space. I buy used books online, I didn't want to forget to tell this. I thought I wouldn't never have read a fresh printed book in all my life but then I discovered NetGalley and I consider a privilege to read books with anticipation. It's stimulating, wonderful, seriously funny. What it is remarked in this book is that not all of us have had a wonderful rich life plenty of books from the beginning and so we suffered more. Let's also say that you can be the son or the daughter of the richest man of this world and you don't love to read and write or you do that pretty painfully. Reading and writing are at first beautiful hobbies and passions.Sure, in a house in which everyone read it's more simple and less complicated to transmit this passion. You will read the newsmagazine at the beginning of the day and then various books during the day, but it's not said. Money can be very very helpful for buying new books and magazines and newsmagazines. This is true. Not everyone at 10 years read this world and the others thanks to the big libraries of their parents, very acculturated but really: it's not a fault to be born rich and it's not a fault to be born less rich and sometimes poor and to climb the mountain and to do the hard work on the road. Maybe at the end it will be more satisfying. In my case every magazine bought and every book bought has meant a sacrifice in terms of costs. They still are a sacrifice! Culture cost money and renounces and sometimes I prefer to buying culture than not a clothe, or a pair of jeans. Please read this book because in the diversified situations you will meet, in the different authors' essays and their different approach with the written words maybe you will find the best inspiration for going on in this sector. 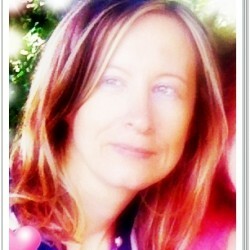 I started to cry when I read the story of a writer who said: although no one paid me I wrote for free for a long time. Book reviews etc. Now she is a published author. The net is not negative, it can also give the possibility to come out. Very interesting book! The various essays include also Cheryl Strayed Roxane Gay, Jennifer Weiner, Alexander Chee, Nick Hornby, and Jonathan Franzen. Thanks to NetGalley and Simon & Schuster.